The word „responsibility“ has been continuously used in a wrong way. It gives a feeling of burden: you have to do it, it is a duty; if you don’t do it you will feel guilty. I want to remind you that the word ‚responsibility‘ has none of those connotations. Break the word in two — response-ability — and you enter a totally different meaning of the word, in a different direction. Response-ability is not a burden. It is not a duty; it is not something you have to do in spite of yourself. Response-ability simply means spontaneous response. Whatever situation arises, joyously you respond to it, with your totality, with your intensity. And this response will not only change the situation, it will also change you. There are two words to be remembered: one is „reaction“ and one is „response-ability.“ Most people react, they don’t respond. Reaction comes from your memory, from your past experiences, from your knowledge; it is always inadequate in a fresh, new situation. And existence is continuously fresh. So if you act according to your past, that is reaction. But that reaction is not going to change the situation, it is not going to change you, and you will be in utter failure. Response is moment-to-moment. It has nothing to do with memory; it has something to do with your awareness. You see the situation with clarity; you are clean, silent, serene. Out of this serenity, spontaneously you act. It is not reaction, it is action. You have never done it before, but the beauty of it is that it will suit the situation, and it will be a joy to you to know that you are capable of being spontaneous. There are very few joys in life greater than spontaneity. Spontaneity means to be in the moment; it means acting out of your awareness, not acting according to your old conditionings. Those days are gone — those conditions, conceptions are absolutely invalid. Commitment is not necessary, because commitment is bound to become old; it will not correspond to the fresh moment. Commitment is a slavery to the past. And action you don’t have to do. If your heart is full of love, full of compassion, full of meditation, action will happen. When action happens on its own accord it is such a beautiful flower. Instead, you force yourself with unnecessary burdens — responsibility, commitment, action — and you don’t understand that the global crisis is so big and you are so small, what action can you take? I don’t have any responsibility, I don’t have any commitment, and I don’t have any action to do to save this beautiful planet – these are unnecessary burdens. Enjoy the moment, grow into your consciousness, be more spontaneous, more compassionate, more loving – no commitment, no great megalomania of saving the whole planet. Rejoice in it, and out of this rejoicing, action comes – again, as spontaneous – you don’t have to act. Not just sometimes, you will always feel difficulty in moving into activity. But a pure action, uncontemplated, suddenly grips you…and you are not doing any charitable work, you are simply enjoying it. If we can make more people lovable, celebrating, more spontaneous, the global crisis can be avoided. But don’t take it seriously, be playful about it. If existence wants this planet not to exist, who are we to prevent it? Every day stars disappear into black holes and every day new stars are born from white holes. One thing has to be remembered, that anything that is born is going to die. This planet has been here for near about four thousand million years. Perhaps it has become old, perhaps nothing can be done to save it. It needs rest, and get more beautiful, so beautiful that existence becomes absolutely incapable of thinking to destroy it. It is not a burden, it is not a commitment. And as long as existence lets this planet continue, enjoy it, make it more juicy…each act of your life. Do you see my point? Make it so valuable that even existence withdraws, and destroys all that is being prepared for global suicide. You don’t have to act! You have simply to meditate, be silent, be loving, fill the whole world with laughter. I say unto you, laughter is far more powerful than any nuclear weapon. Fill the whole universe with love. And I say unto you, a world filled with love is not going to decide for war. No action is needed. I have been condemned by people who don’t understand the intrinsic mysteries of life. 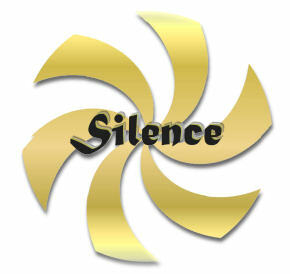 They think that I am making people inactive, telling them to meditate, to be silent. They don’t know that I am making people spontaneously active — out of love, out of beauty, out of blissfulness. That will create the greatest barrier to the destruction of the planet. A man of silence is not inactive; his energies have moved into a totally new dimension of spontaneity, of response-ability, of love, of joy, of creativity, and his whole being is so precious that he creates around him a contagious preciousness.